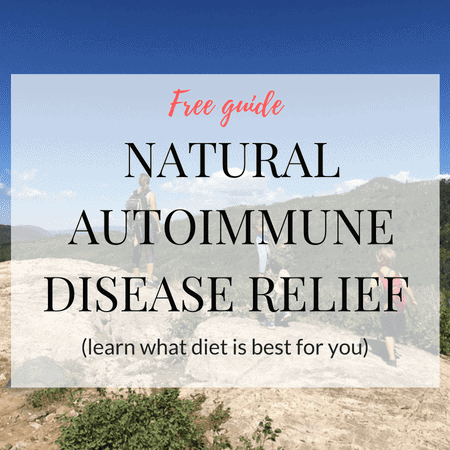 I live life with 2 autoimmune diseases – Hashimoto's Thyroiditis and Celiac Disease. I control these diseases (and have put them in remission), using diet, but sometimes I get flare-ups of my symptoms. Usually, this is because I have not been eating as well, so I'm going on a Whole30 to get rid of the flare symptoms and put everything back in remission. This is my experience. Just a few short years ago when my life was defined by cold hands and feet, heart palpitations, massive hair loss, unexplained weight gain, anxiety, chronic exhaustion, terrible sleep quality, and so much more. I went to my doctor NUMEROUS times with complaints that my thyroid medication must have been off (I was on Levothyroxine at the time), he would simply just do his condescending doctor thing and tell me that medication matched my thyroid hormone levels and that was all that could be done. “There's nothing else?” I would ask. “No. Your medication is at the right level for your hypothyroidism. These symptoms are just all in your head. There's nothing else we can do, I'm sorry”, he would reply. Talk about frustrating and defeating. I felt miserable, knowing in my heart that I wasn't well, but being told there was nothing I could do. I was in my early 30's for goodness sake! What the heck was it going to be like when I got old? I continued living like this for years. Along the way, I learned a bit that diet might be able to make me feel better, but still wasn't quite ready to commit completely to anything too drastic. Until it got so bad that I knew it would be the only way to have the quality of life I deserved. When I learned that it wasn't “hypothyroidism” and that it was indeed an autoimmune disease called Hashimoto's Thyroiditis that was causing me issues. But the most astounding thing I learned? I could put it in remission. Even better? You can put it into remission using DIET. Not pills, not surgery, and when I say diet, I mean a delicious, filling, non-deprivation kind of diet. More like “eating style” rather than the traditional weight-loss kind of diet where everyone starves themselves. 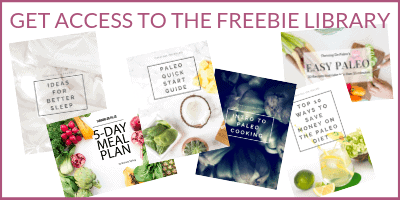 My mind was blown, and with a renewed fervor I tackled using the Autoimmune Paleo Protocol diet and working with a functional medicine practitioner to get both my newly diagnosed Celiac Disease and Hashimoto's into remission. After that life was great! I felt FANTASTIC! I could play with my kids nonstop! Climb mountains! Sleep all night without waking up! Paint my nails because they were strong enough to last more than a week! I even started this blog to share my experience with the world. Things seriously couldn't be better. Hashimoto's flares are flare-ups of symptoms that you had previous to putting the disease into remission. They range all over the place – I even wrote a post about how to deal with a flare-up because it can be downright scary. I've had several of these since I first put my Hashimoto's into remission. I'm always gluten-free because of my Celiac Disease, but when I get inadvertently “glutened” I notice I get flares shortly after. Not surprising at all since the Hashimoto's and gluten link is so strong, so I usually go on a 1 to 2-month Autoimmune Paleo Protocol diet just to quickly get my immune system back into shape and stamp that out quickly. It's only happened 3 times since I got diagnosed – and mainly in the beginning when I wasn't as sure what to look out for (soy sauce, for example, contains gluten). Other times I get flares because I've been experiencing a lot of stress. Usually just working on self-care and making sure to really tamp down the stress-levels helps get rid of those flares. The last kind of flares I get seem to be from diet slippage. I typically eat a Paleo diet, which helps keep any bodily inflammation under control, but sometimes I branch out into eating gluten-free grains, dairy, beans, and sugary things (even things that contain natural sugars like honey and maple syrup). It's not necessarily one or two times that does anything bad for me, but more when I eat these things on a more regular basis and they become a part of my everyday life. I've been kind of lax on both the diet AND the stress-level fronts lately, so it's really not a surprise that I've been experiencing Hashimoto's flare symptoms lately. My 1-year-old puppy has had some major medical issues and so I've been playing nursemaid to him, along with dealing with the stress of the bills piling up from his surgeries and hospitalizations. Plus I've JUST. NOT. CARED. about what I've been eating. Probably because of puppy, since we have a limited amount of willpower and all my energy has been used up with him, but corn tortillas, oatmeal, ice cream, cheese, and lots of Paleo muffins, waffles, pancakes, desserts, and chocolate… Lots of chocolate (even peanut m&m's) – all have found their way to my plate on a regular basis lately. These things aren't necessarily BAD, but they're bad for ME. The sugar dragon has reared his ugly head and his fire comes out in a slew of Hashimoto's symptoms. So… I'm going on a Whole30 diet to clean it all up and get my Hashimoto's back under control. I decided to use Whole30 to get my Hashimoto's symptoms under control because (a) it's 30 days – even though I'll probably do it for longer, but it's easier to wrap your head around 30 days and (b) it removes all sugar. The sugar part is really what I need. I can be 100% strict Paleo and still eat delicious Paleo brownies. But I need to stay away from delicious Paleo brownies. I feel hypoglycemic attacks every so often (low blood sugar), and just know that I'm crossing that line from “occasional” to “frequent” when indulging in sweets. If you've ever read It Starts With Food(<-great Whole30 book), you know how detrimental the blood sugar roller coaster can be, and I definitely think it's contributing to this Hashimoto's flare. So out goes the sugar, and in goes nutrient-dense foods. The Whole30 is a strict Paleo template that removes the usual Paleo suspects of grains, gluten, dairy, beans, refined sugars, and weird ingredients like carageenan, etc, but it goes a few steps further and also removes ALL sugars (even honey and maple syrup) as well as alcohol. It limits dried fruits and encourages you to only eat fruit with fats and protein (like as part of a meal), discourages snacking just to snack, mindless eating, and other bad habits. It ALSO prohibits the consumption of treats – so no Whole30 waffles, baked goods, muffins, pancakes, pizza, cereal, store-bought chips, or ice cream. You can read all of the Whole30 Program “rules” here. The idea is to redefine and understand your relationship with food. Do you really need that Paleo muffin? Maybe… maybe not. Even if you want it, maybe you need to understand why. Are you used to eating a baked good at 10 am every day? Or it is just freakin delicious and this is the only one you're eating this month. It makes a difference. So this 30-day reset is important to me to get off the blood sugar rollercoaster and feel like I'm back in control of my well-being. Why Whole30 and not AIP? It’s so frustrating that doctors care more about lab results than how *well* their patients are. But it’s reassuring to hear you were able to put your hashi’s into remission with your diet! I’ve been gluten free for almost 9 years but I’m starting to realize I still don’t feel my best. Old symptoms are creeping back in despite being very strictly GF, and I’m returning to a Paleo diet to see if that helps. You’re so welcome! It definitely feels nice to know we aren’t alone. Wondering if I need to be strict AIP for Hashimoto`s any tips on a great site that walks me through that as well as you do here for Whole 30? When you say “remission”…what does that mean? No longer experiencing symptoms? No longer needing medication? I use the term remission to mean the disease activity is no longer happening – in the case of Hashimoto’s, the thyroid is no longer being attacked with autoantibodies. This usually correlates with a reduction of symptoms as well (though not always as it depends on how much of the organ has been attacked). Medicine might be needed forever in many cases, depending on how much the organ has been attacked – like in my case I’ll never be able to go off of medication as I can no longer produce enough hormone after 10+ years of just being on levothyroxin and not realizing the disease was still attacking my thyroid in the background. Hopefully that all makes sense?